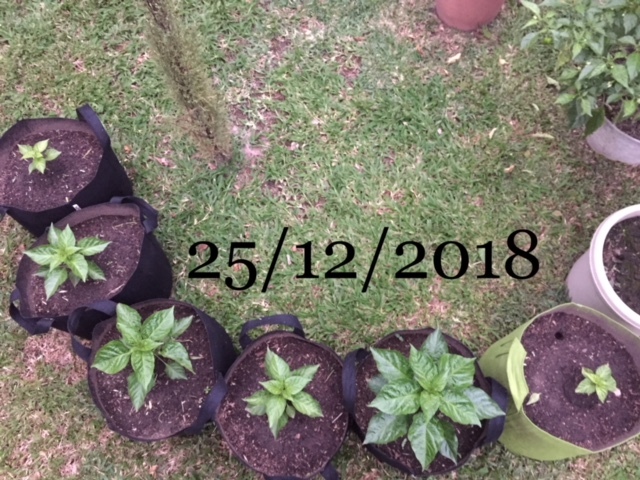 This is my first Grow Blog (glog)! 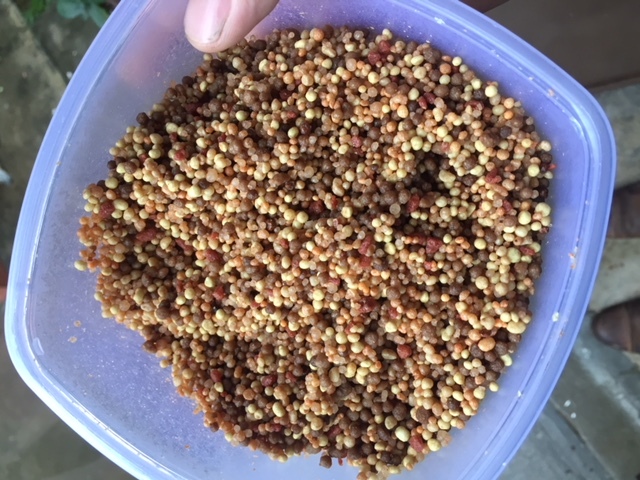 I want to share with you guys my ongoing "fertilization experiment". 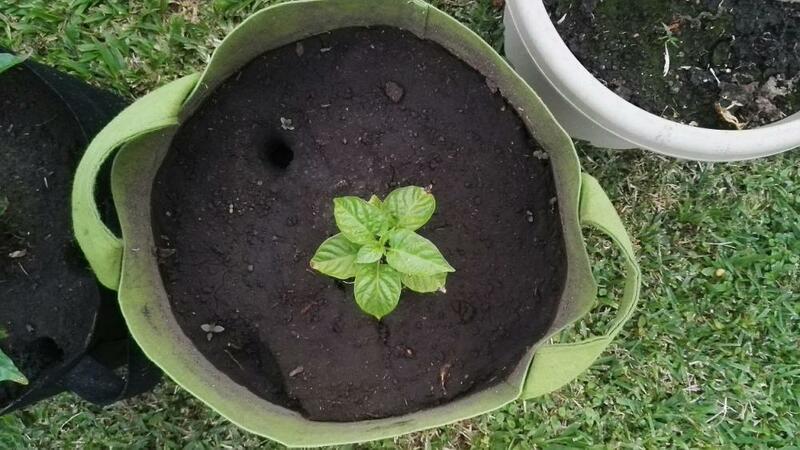 I am a rookie grower from San Pedro Sula, Honduras. I have started growing superhots this year with somewhat moderate success. On my first set of plants, I was unsure of what ferts to use so went a bit crazy and threw anything I could get my hands on at them, with very little control. I don't have access here to the great variety of organic and chemical fertilizers you guys have over in the US and Europe. 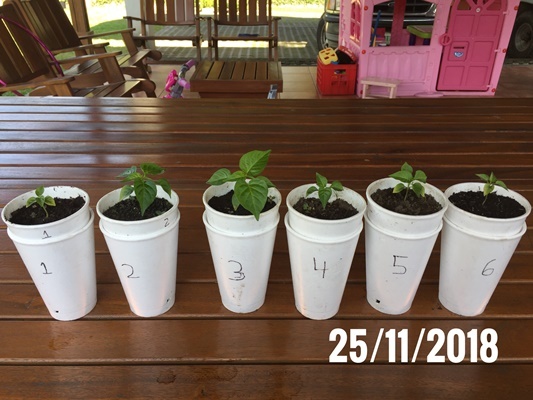 My results were varied, with some plants having very good pepper yields while others almost none. Heat was intense in some plants and mildish in others. 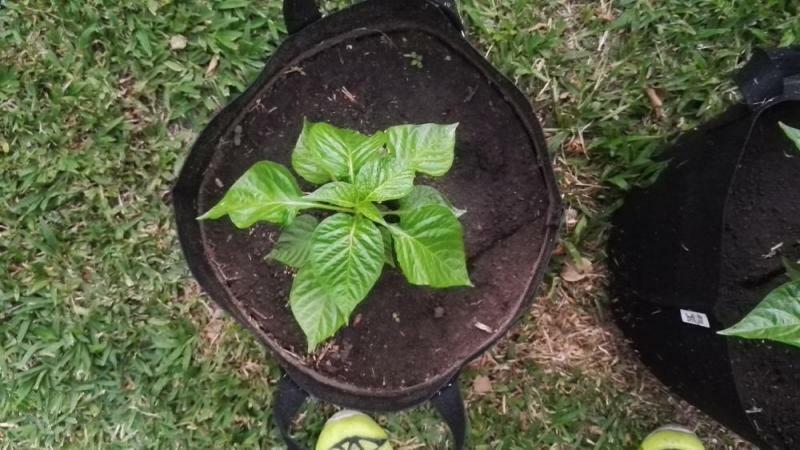 My morugas where as hot as a normal hab while the chocolate bhutlahs were lava hot! Since no notes were taken on what I was using, I had no idea of what effect each fert was having on the plants. 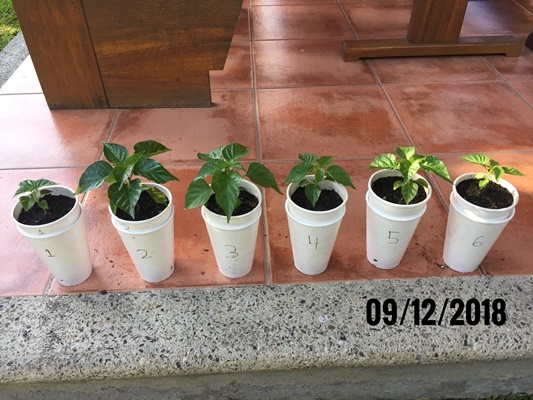 So I decided to grow a new batch of peppers and experiment with some of the different fertilizers I have available and find out what works for best for me and my conditions. Please, feel free to ask questions, suggest ideas/changes or criticize the methodology. This is one of my main objectives in posting this here. Next year, interaction between base and supplemental fertilizers will be attempted to be evaluated. I am aware some of these are only complementary fertilizers, like cal-mag or even epsom salts, but I want to see what their isolated effect is none the less. Sample size is very small to be considered a real scientific experiment with statistical significance, I am aware of that too, but.. well this aint a nasa study. 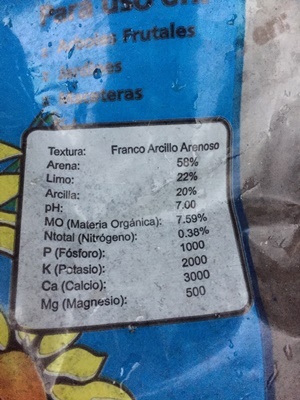 The granular mix was given to me in a local agro shop. They were not able to provide me with its npk ratio, but they assured me it was a "complete mix" and what my peppers needed. They instructed me to spread what I could pinch with 4 fingers in a circle 5 inches away from the base of the plant. Epsom salts will be added foliarly and to the soil. 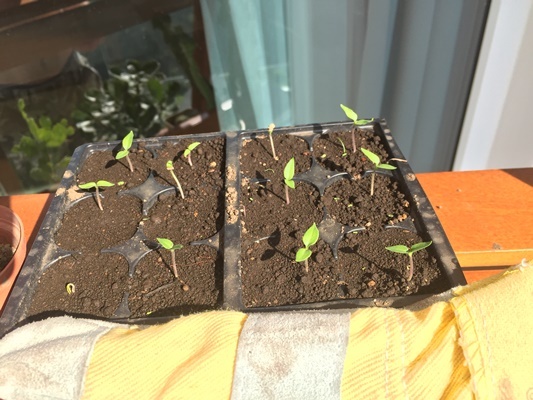 The plants have finished germinating on the seed starting tray. 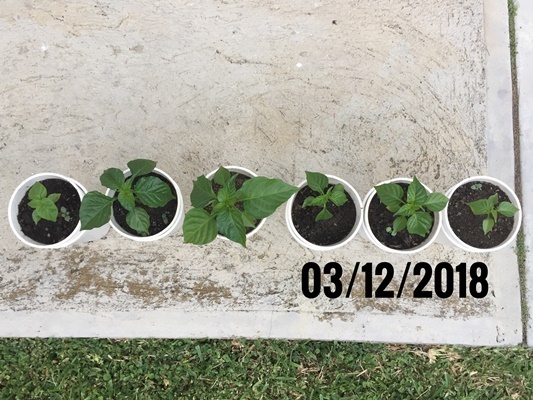 There is a clear size difference in #2 (miracle gro) and, #3 (epsom salts) compared to all the other plants. Plant #6 has dropped a couple of leafs and looks withered. The plant with epsom salts (#3) has overtaken miracle gro (#2). The other appear stagnant. Second round of fertilizers was applied to #2,3,5,6. Concentration of fertilizer to #6 was halved. Epsom salts still in the lead, the plant with no fertilizers is now the smallest. 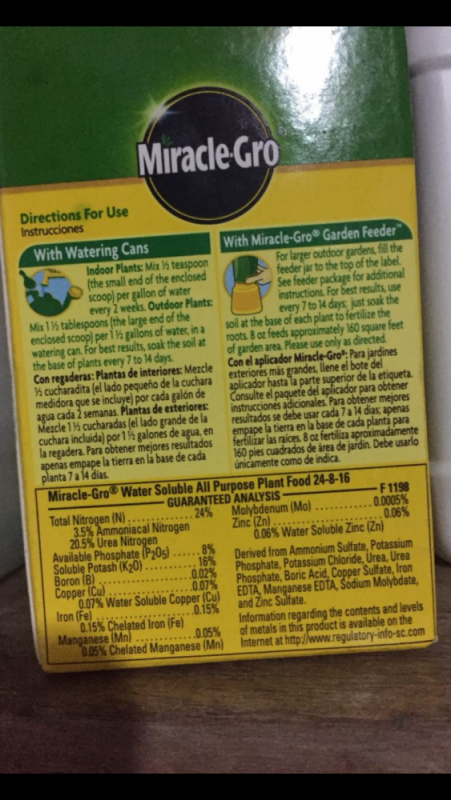 Miracle gro (2) is again in the lead. Foliage looks healthier and greener on the plant with epsom salts (3). Plants were transplanted into grow bags. Was one 5 gallon grow bag short, used a 7 gallon bag for plant #1 instead. Edited by MuyPicante, 11 December 2018 - 12:44 AM. Looks good. Keep up with the updates. What is the NPK of the Miracle Grow you are using, there are many ratios available here. Its 24-8-16. I think this one is labelled as "all purpose plant food". Edited by MuyPicante, 11 December 2018 - 01:59 PM. forward to your results and conclusions. 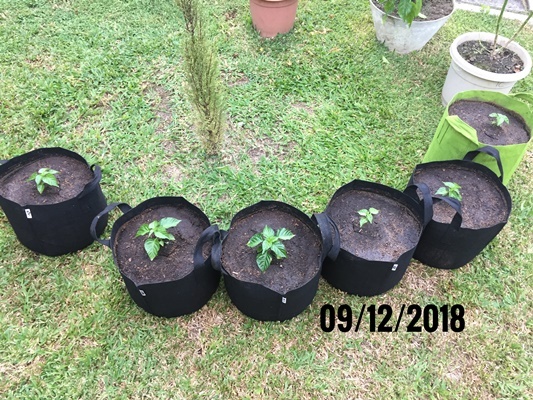 Folks love to hate on Miracle Grow because of their parent company and non-organic nature, but I have grown some MONSTER plants with MG soils and fertilizers. Best of luck with your experiment. To my way of thinking, do what works for you. If it's MG, more power to ya! This is a cool project! 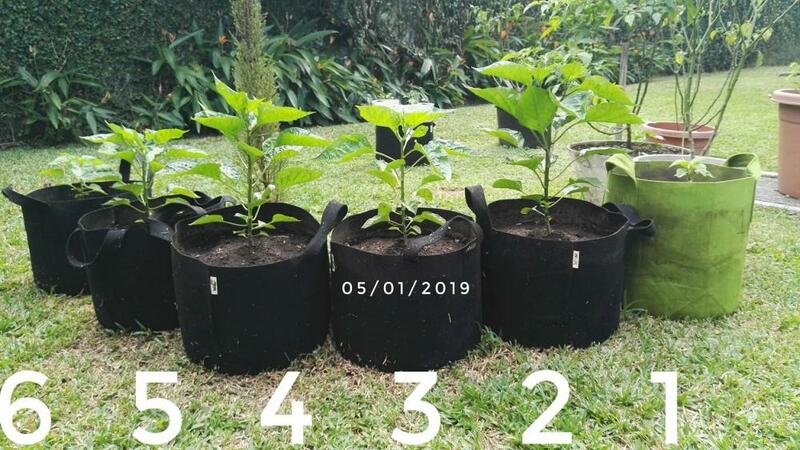 What you're doing now is really comparison of two fertilizers and a separate comparison of three supplements, both using your soil and the untreated plant as the baseline. Which might give you an idea of how those two fertilizers compare to each other and possibly what those supplements actually do (sample size ignored, as you said). So that's eight possible combinations (the six combos above plus one for no supplements and another one for all three). If you did one set of those for no fertilizer, one for MG, and one for the granular product, that's 24 plants; since it's a pretty safe bet that those fertilizers are actually providing some benefit, I'd drop the no-fertilizer round and go with 16 plants. I'd also replace the Mystery Granular Stuff with a known 10/10/10 fertilizer or something similar, since otherwise what results you do get are kind of hard for anyone but you to use (and for anyone to interpret, since Mystery Granular Stuff truly is mysterious). 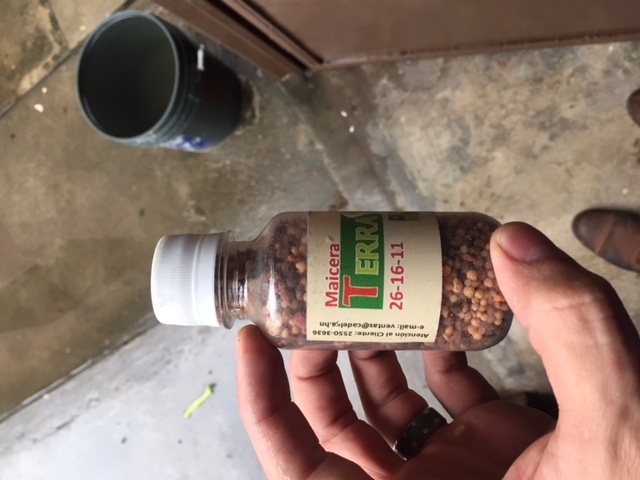 Either entirely dropping the second fertilizer and just doing a supplement comparison or dropping one of the supplements for a two-supplement, two-fertilizer test would result in an eight-plant batch, which would be very close to what you're growing now. Anyway. Maybe something to consider for next time. Thats a great setup fish, thanks for the tip! I will definitely be going with something like that next. I was considering determining the best base fert and then combining just that one with all the different supplements in a matrix like what you are suggesting. I got some info on the granular mix. I found a bottle of one its components and it show its npk ratio as 26-16-11. The final mix was three of these bottles to one of another lighter type of granule that is supposed to be the calcium supplement. The three of my "old" plants that were top dressed with this seem to be doing very well and are now on their second harvest. But I am not 100% sure if its due to it as I have also added lots of other stuff to them. Their foliage looks plentiful and healthy. I have decent hopes for the mystery fert, I just hope is not made out of plutonium and baby seal souls. 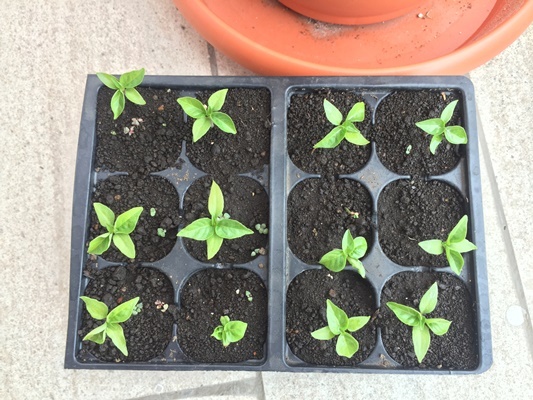 Both the miracle gro and the granular have high nitrogen content which is not supposed to be ideal for peppers as it could produce too much foliage and little fruit buy we'll see how it goes. Edited by MuyPicante, 12 December 2018 - 09:31 PM. Thanks Paul! Will keep you guys posted! First fertilizer round in their final containers done this past saturday. Plants 1 to 6 from right to left in the picture. Plant #2 with miracle-gro continues to race ahead. Plant #4 with the local granular fert is now coming in second. 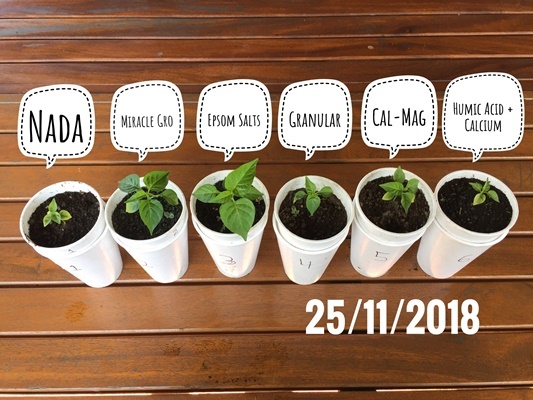 The Cal-mag and the epsom salts plants seem about the same size at this point. No fert plant (#1) continues to lag behind. 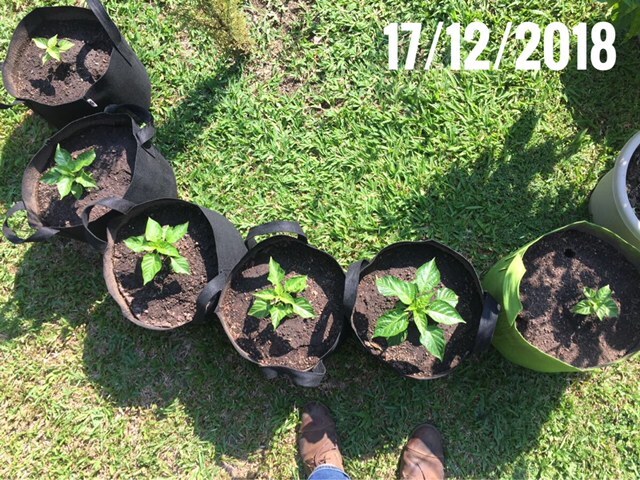 What are the best growing months in Honduras? I'll be interested to see how your project continues. 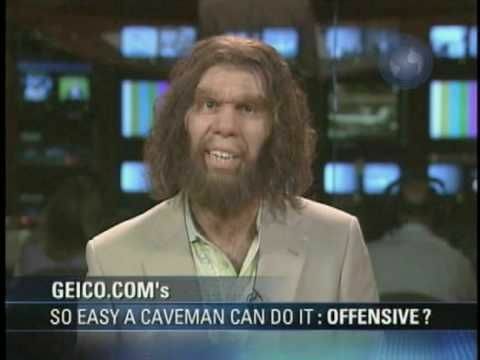 I am not sure Paul, I think it will depend at what elevation you are at. 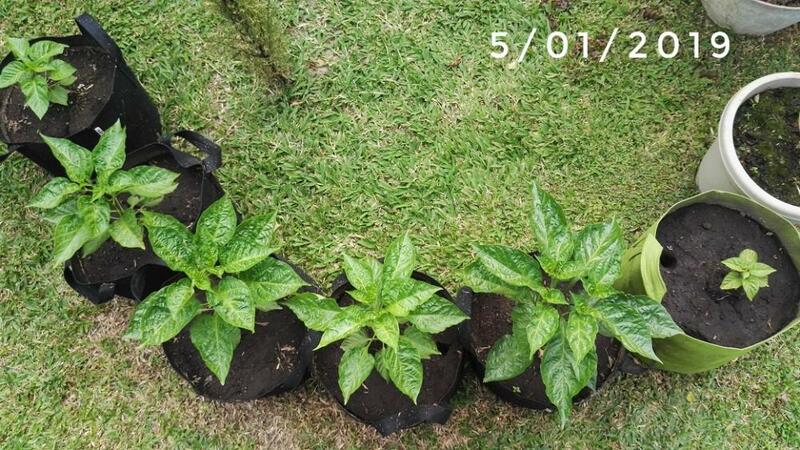 I know several large scale pepper exporters (tabasco) grow them at a higher elevation in sunny but a bit more arid conditions than down at the valleys, like where I live at. I would believe all year would be good. Maybe you can actually enlighten me a bit on this. These are the weather profiles for my city. What months would you think are the best? Wow - you do have great growing weather. Have a great season, Abel! Miracle gro (#2) is leaving the others way behind, seems to be on rocket fuel. Mystery granular (#4) is also leaving the others behind and is on a solid second place. Epsom salts (3) seems to have slowed down and is now just above the humic acid (#6) and behind calmag (#5). Humic acid appears to be doing nothing. Im considering dropping its use and just start applying a low nitrogen fert I picked up recently to that plant, starting next fert round next week. The control plant with no ferts is showing very slow growth, almost none. Foliage looks green and healthy in all plants. Results are interesting but not that surprising thus far considering that #2 and #4 are using complete fertilizers while the other are using supplements. Whats interesting is how little they grow with no ferts! Does this mean my soil is just crap by itself? Whats interesting is how little they grow with no ferts! Does this mean my soil is just crap by itself? Hard to say. 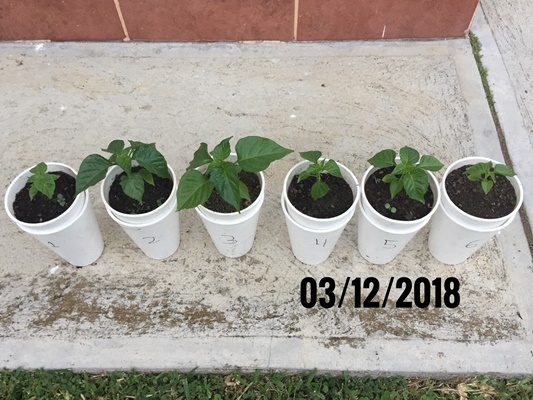 Someone with more experience might be able to say how far off that growth is from what would happen in normal soil without fertilizer, if anyone grows like that consistently. But I'd say it's a validation of that MiracleGro how thoroughly it's outpacing even the other fertilizer. Regardless, all of those plants look great. Very interesting developments, on the 29th I switched to a new low nitrogen fertilizer on #5 and quit using humic acid, in just 5 days, the plant has taken off! Epsom salts overtook calmag again. Those two are giving each other a run for their money. Flower buds and bifurcations are present in all plants except #6 and #1. This the bag of the fertilizer used now for #5. The growth on the plant has been dramatic in the last 5 days. 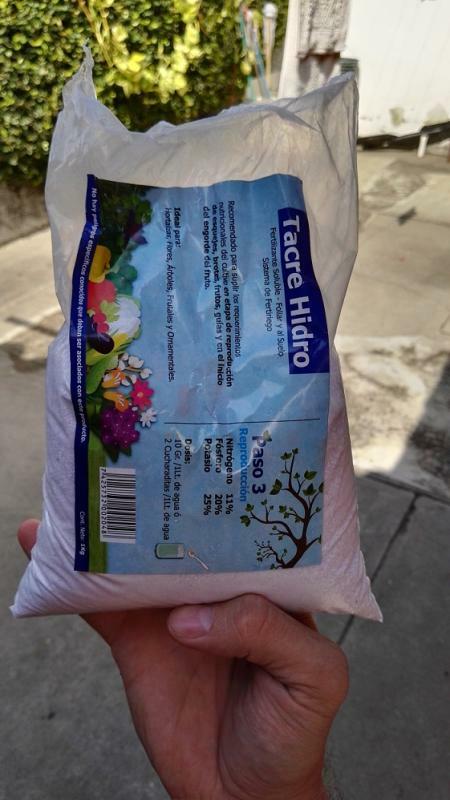 It used to be very similar in size to the plant with no ferts before adding the "Tacre Hidro". Thats it for now, will post again in a couple of weeks. 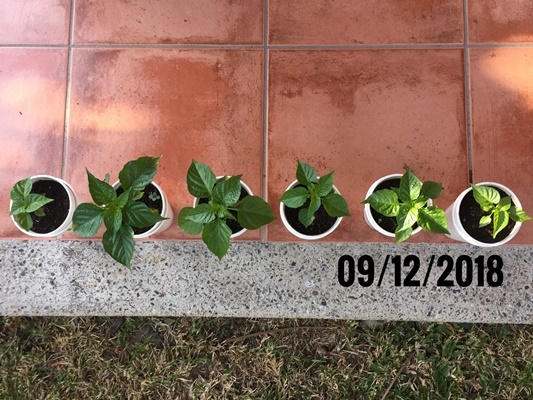 May your plants grow strong and your peppers hot and gnarly for 2019. Edited by MuyPicante, 05 January 2019 - 11:27 PM. Also important for us backwards Americans to remember that that date isn't May 1st, 2019, but January 5th, 2019.